Leopoldo “Polín” Martinez was a highly talented semiprofessional baseball player who toured with clubs in Mexico, Texas, and Southern California from the late 1930s through the late 1950s. He led a normal life, working for the railroad and raising a family of four sons and three daughters in Southern California. Unlike his star Major League contemporaries like Jackie Robinson, Mickey Mantle, and Roberto Clemente, you have probably never heard of Leopoldo “Polín” Martinez—but that does not mean his career was unworthy of pride. Even though his brilliant career never appeared on the screen or in print like those of the majors, you can find him in a unique copy of the May 5, 1941, edition of LIFE magazine that is now preserved in the national collection. Martinez, despite never being in the Major Leagues, was immensely proud of his baseball career. He began playing baseball in 1937 at 17 and played until he was almost 50 years old. Before he moved to the United States and became a citizen, he was one of the best ballplayers in Mexico, playing twice for the Mexican National Team in the Amateur World Series of 1947 and 1948. Even after he “retired” from baseball, he was a hot commodity. In Southern California, while he worked for the Southern Pacific Railroad Company, he was the company baseball team’s ringer, a secret weapon in tournaments against other railroad teams, helping them win many Los Angeles municipal city championships. Baseball meant so much to Martinez and his family that even after he stopped playing the game, he kept his old uniform, baseballs, bats, and other memorabilia of his career. One way in which he memorialized his legacy was by making scrapbooks of his career. 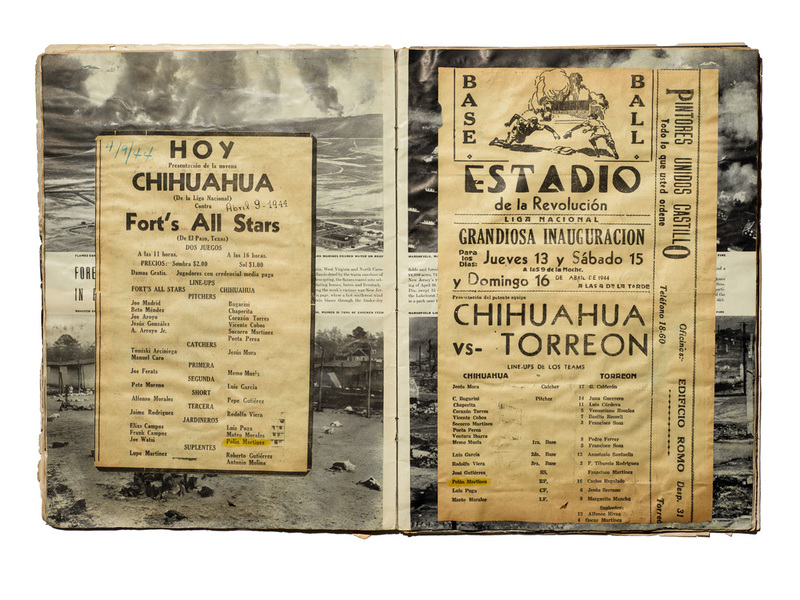 The LIFE magazine scrapbook spans Martinez’s early career in Mexico, prior to his playing in the United States. The magazine is filled with handwritten stats and newspaper clippings of the games he played and articles surrounding his two trips to the Amateur World Series. Though the scrapbook is Martinez’s personal record of his career, it is also a work dedicated to baseball in general and players and teams he respected. 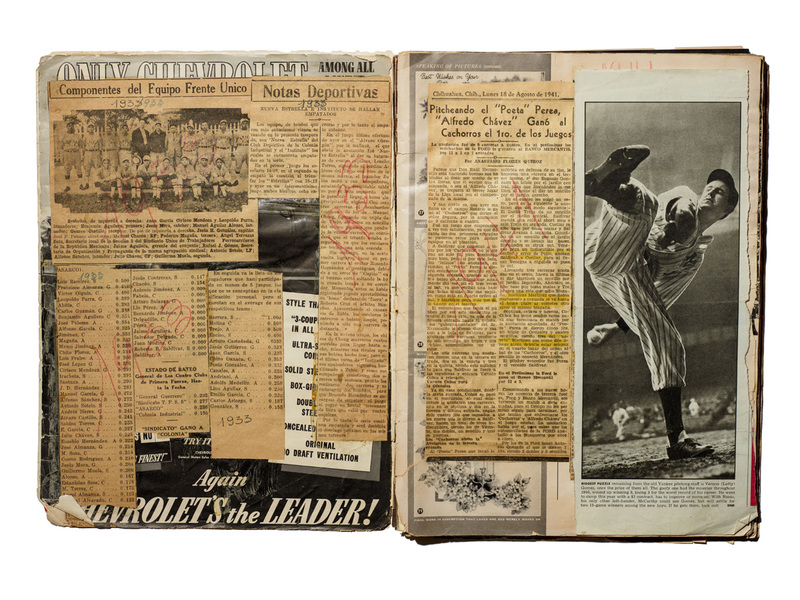 For example, the scrapbook includes a newspaper photo of a 1933 Mexican team known as El Frente Unico (The Single Front), a large clipping about the Yankee pitcher Vernon “Lefty” Gomez, and a full-page newspaper photo spread of Lou Gehrig. “Polín inserted himself into the national narrative by placing his own career alongside these more well-known baseball greats,” said Dr. Margaret Salazar-Porzio, who leads the Latinos and Baseball collecting initiative at the museum. Some legacies are enshrined in movies, books, and legends. Other legacies, like Martinez’s, are held in personal artifacts and memories. Though his legacy has now been shared through the National Museum of American History, there are a vast number of legacies out there that live in the stories and personal memories of family and friends. Luke Perez is an intern in the Division of Home and Community Life. He graduated with a master’s degree in Art and Museum Studies from Georgetown University in the summer of 2017.